Why would I need self storage in Rancho Cordova, CA? There are a variety of reasons why you might need self-storage in Rancho Cordova, CA. How much is a storage unit in Rancho Cordova, CA? The cheapest storage unit in Rancho Cordova, CA is $51.00 per month. What size storage units do you have available in Rancho Cordova, CA? In Rancho Cordova, CA we have sizes that range from 4'x4' to 10'x30' to suit your storage needs. How much is it for a 4'x4' storage unit in Rancho Cordova, CA? The cheapest 4'x4' storage unit in Rancho Cordova, CA is $57.00 per month. Rancho Cordova is a bustling city in the Sacramento metropolitan area, and is the region's largest employment sub-center. It draws tens of thousands of commuters every day, offering a number of jobs in many different industries. Rancho Cordova is a hub for many business sectors, including health, education, banking, aeronautics and communications. It's been the winner of the All-America City Award, thanks to its excellent livability, many amenities and family-friendly atmosphere. Founded in the mid-18th century, Rancho Cordova went by many names and changed hands among gold speculators, before becoming the town it is today. Most recently, it went by the name Mills Crossing until it became Rancho Cordova in 1961. During the latter half of the 20th century, the city developed a busy economy, thanks to the arrival of Aerojet and the nearby Mather Air Force Base. Although the city dates back many decades, it wasn't officially incorporated until 2003. Rancho Cordova has experienced a population boom in recent years, attracting a diverse array of cultures that bring a distinct personality to the city. Throughout the year, diversity is seen in events like the International Festival, a unique Fourth of July event and the West Coast Ragtime Festival. It's also home to over 30 local parks and several museums, shops and restaurants, offering plenty to do no matter what your interests. 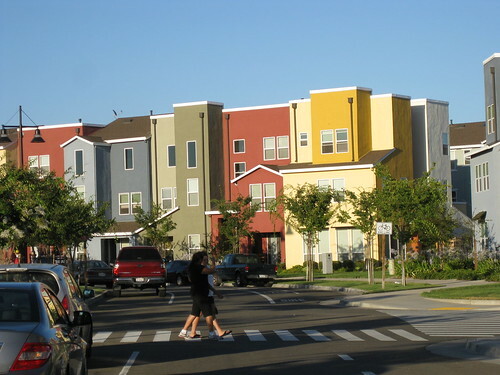 The city is also popular for its proximity to larger cities in the region while maintaining a lower cost of living than in many parts of California. Rancho Cordova boasts one of the largest job markets in Sacramento County, rivaling Sacramento itself. This is due to the presence of several large corporations, including Verizon, Franklin Templeton Investments, Delta Dental, Bank of America and Aerojet. Rancho Cordova is part of the Folsom Cordova Unified School District, with a few areas served by other local districts. You can choose to enroll your child in any school in your district as long as there's space. There are also a variety of private schools in the city, including secular and faith-based campuses. Utilities: Pacific Gas and Electric is the city's central energy provider, while the Sacramento Municipal Utility District manages public water services. Garbage and Recycling: Trash, recyclables and green waste are collected on a weekly basis throughout the city. Transportation: The Sacramento Regional Transit District facilitates public transportation in Rancho Cordova and the surrounding cities, providing easy access via light rail and bus. The number of amenities in Rancho Cordova makes it a desirable place to live. Easy access to parks, fitness centers, outdoor activities, entertainment, libraries and restaurants contributes to its appeal. Even with these perks, the median home price in Rancho Cordova is much lower than the California state average. Our lowest priced units in Rancho Cordova, CA average $63.80 per month. 188 people have reserved units in Rancho Cordova, CA in the past 30 days. There are 5 locations within Rancho Cordova, CA's city limits. There is 1 location in Rancho Cordova, CA that offers AC and Heating features.